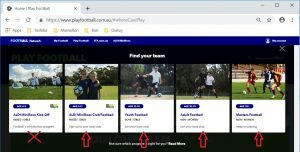 Click on “Where can I Play?” or “Re-registering to play this season? 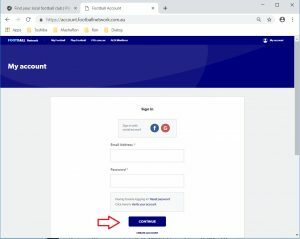 If you already have a Football Account then click on “Already have an account” and log into your account. 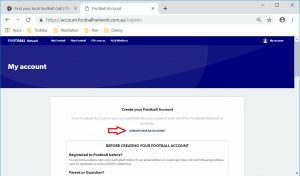 If you do not have a Football Account then enter your detail, scroll down and click on “Register“. 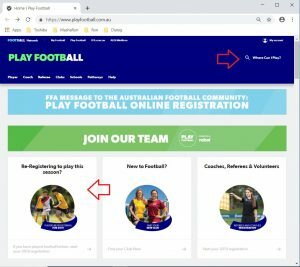 Please use the same email address that you used to register your child/ren for the previous season. 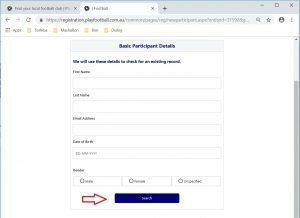 Select participant you are registering (myself, linked person or new person) and then click on “Continue”. 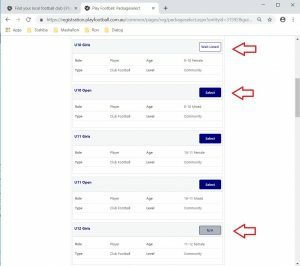 Your children will not be displayed as linked people if you use a different email address when registering. 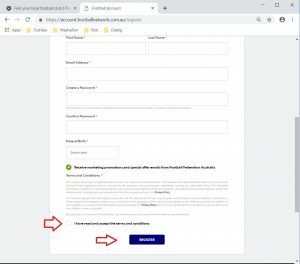 You have to click “I am registering a new person” and click on “Continue“. 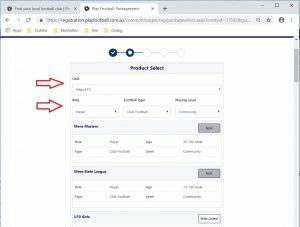 You can search you child’s football profile. 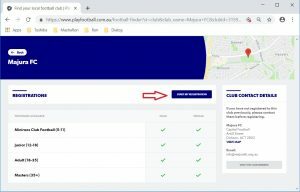 Scroll down and select the right Age Group for your child. 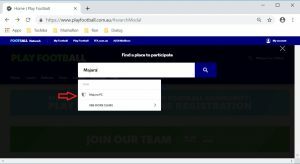 Please contact the Majura Club Administrator or the Age Group Coordinator for enquiry if your child’s age group is Not Applicable (N/A). 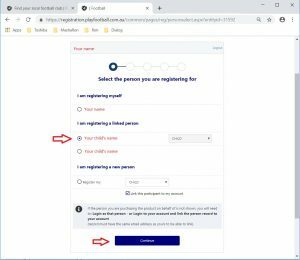 Please go back to the previous page if you chose the wrong age group. 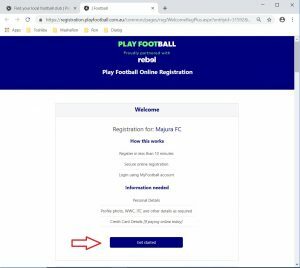 Choose either “Pay Online” or “Pay Offline” To pay online enter your card details to complete the registration. 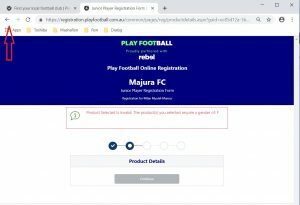 You can pay offline by either a cheque, mailed to Majura FC PO Box 449 Dickson ACT 2602 or by direct deposit to BSB: 062904 Account No: 00901679 including player name or FFA number as an identifier.